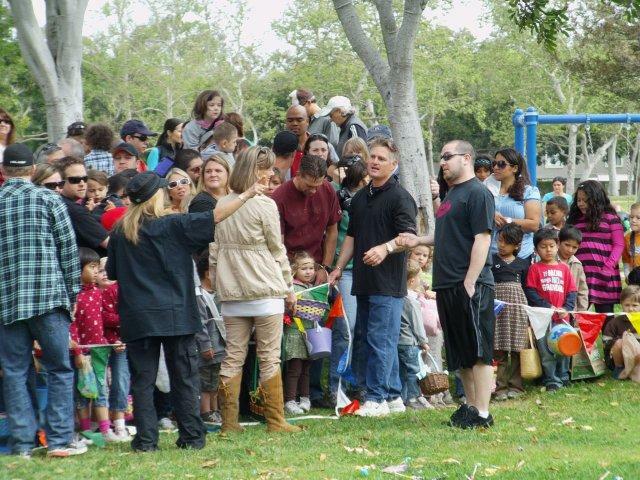 Many kudos to Mike Brumbaugh for introducing the 1st Annual Costa Mesa Community Picnic to Costa Mesa. What better way to start off the summer! Mike is President of the Halecrest & Hall of Fame Community Association and he meets with the other neighborhood leaders to discuss ways to bring the city together. They thought a city-wide picnic would be a fun, easy way for the whole town to get together and have a great day. Each neighborhood will have a presence at the event and provide games and entertainment so everyone is welcome. 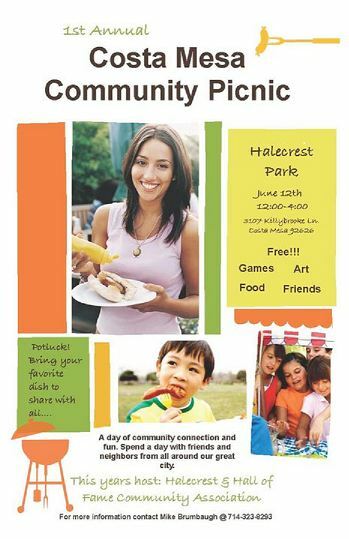 The very first picnic will take place at Halecrest Park. Each year the picnic will be hosted in a different neighborhood park. Bring your own food and get ready for some major fun – there will be a bounce house, a variety of games & art projects suitable for all ages, a cookie decorating station, and much more! 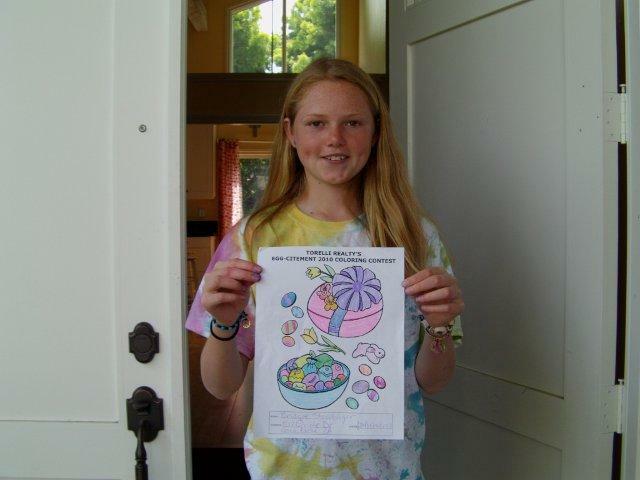 This past weekend Costa Mesa residents enjoyed Egg-Citement at Tanager Park in the Mesa Verde section of Costa Mesa. Torelli Realty has hosted Egg-Citement for over 15 years and each year we get more and more people. This year we had the largest crowd ever – over 500 children participated in the Easter egg hunt and families had a chance to enjoy the bounce house, petting zoo, pony rides, and coloring contest. The Estancia Booster Club was there helping the Estancia High School Cheer Squad as they cheered and sold concessions to raise money for their team. Plus the Easter Bunny posed for photos with the happy children. It was a fantastic morning! Every year Torelli Realty brings in attractions for the crowd and all the money raised at the event goes right back to the local schools. This year the Estancia Cheer Team made over $500 for their squad and an extra $200 was raised for the schools through the pony rides and petting zoo. We’d also like to congratulate John Braun who also had a very close guess. Thanks to everyone who came to the event and all the contributors. We know that Costa Mesa looks forward to Egg-Citement as part of their Easter celebration and we look forward to bringing it back to the community next year. 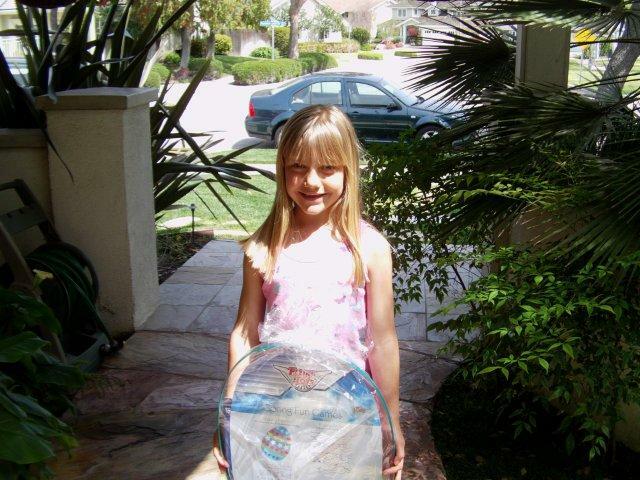 Next up we have the Mesa Verde Garage Sale on May 15. Later this year we’ll have more events including The Pumpkin Patch and Snow Hill. Feel free to check back for more events and news. Costa Mesa residents should mark Saturday, April 17, 2010 on their calendar. That’s the date for the anticipated Annual Country Day Fair put on by the Prince of Peace School. The community will have the chance to enjoy rides, games, prizes, an international food fair, silent auction, live music and so much more! Our real estate company is excited to help sponsor the event, which goes from 10am-3pm. Admission to the fair is free so this is a great way for everyone in the Costa Mesa community to plan for some budget-friendly fun! Rides and food will come at a cost that’s for a good cause – helping the Prince of Peace School. These funds will help cover much needed school supplies, like desks, computers, and playground equipment. The money will also help pay for their Meet the Masters Art program and assembly programs, which are positive tools to help the students learn and grow. We’re big supporters of the Costa Mesa community, schools, and educational programs. Prince of Peace has been a part of Costa Mesa since the early days of Orange County and their events are always a big success. 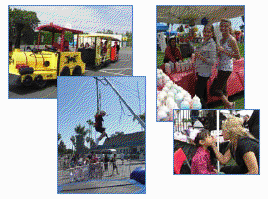 The Annual Country Fair is a great way to support our students… And bring a day of fun to Costa Mesa at the same time! Costa Mesa is a community where youth recreational programs are a priority. We’ve blogged before about some of the programs at Estancia High School, Costa Mesa High School, and through the Costa Mesa Community Athletic Foundation. Here’s another great program: Costa Mesa Pop Warner (CMPW), a youth football league and youth cheerleading squad for boys & girls ages 5-15. The team, called the Costa Mesa Eagles, is holding an Open House/Registration/Preliminary Weigh-In event on Saturday, April 17, 2010. Check out the Costa Mesa Pop Warner Facebook page for more information. For years CMPW has made it a mission to serve as the benchmark for Southern California youth football and cheer programs. Under the direction of Steve Mensinger, President of the Estancia Sports Booster Club, the emphasis of the program is not just on smart coaching. An orderly administration and professional structure helps keep the CMPW ahead of other teams and sets a good example for the kids. Costa Mesa Pop Warner is a great opportunity for our youth to have fun, understand teamwork, accept responsibility, and again – HAVE FUN! And according to the professional journal Athletic Insight, youth sports offer additional benefits like improved motor skills and increased self-esteem. CMPW also supports “no work, no play” so students must perform adequately in the classroom or they can’t play. Education first! Our youth are so fortunate to have recreational opportunities such as these available to them – go Eagles! Costa Mesa’s deputy fire chief Kirk Dominic is a wonderful role model for our community and The Daily Pilot featured him in a recent article about his good deeds. Not only does he serve our town through his work with the fire department, he also recently returned from helping in Haiti. From January 24-31, Dominic provided medical assistance with the group Hope Force International, which is a non-profit organization that offers assistance in disaster-stricken areas. Dominic felt compelled to lend a hand after the earthquake struck Haiti in January. He selflessly treated the injured and helped his group aid hundreds of people in the few days they were there. Now that Dominic is back home here in Costa Mesa he is working to train others so that more volunteers can assist in Haiti. Costa Mesa’s fire department and police department have a strong presence in our community and we are thankful for their commitment to the residents of Costa Mesa. More than that, our city has great individuals like Dominic who are willing to put the needs of others up front. Values like these deserve recognition – thank you Kirk Dominic! Costa Mesa has a rich history and the Costa Mesa Historical Society does a great job of informing the public about the past of the city. This weekend the society is hosting a free talk given by Pulitzer Prize Nominee Craig MacDonald called “Incredible Unsung People Who Changed Society for the Better.” This is a great opportunity to learn about exceptional people who impacted Costa Mesa. MacDonald has done extensive research to prep for his talk and will speak about not only the men, but also the women, who deserve recognition for their part in Costa Mesa’s growth and development. It takes the vision of ALL members of the community for it to thrive. We welcome the positive message that the historical society is sending out about invaluable people who sought to make society better for those who followed them. 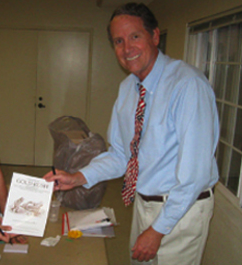 For Costa Mesa residents, it’s a huge benefit to have the non-profit Costa Mesa Historical Society as a public resource. It’s a great place for families to spend time together or just to drop in and learn more about the city we call home. Doors will open for the program on Sunday, February 21, 2010 at 2pm. The admission is free and refreshments will be provided. 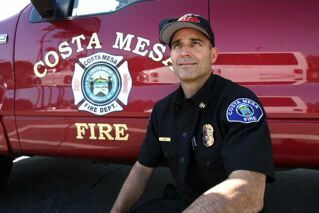 Let us know if you check out this event… We’d love to hear your thoughts about some of the unsung heroes of Costa Mesa. Let’s hear it for the Costa Mesa High School Cheerleading Squad! A couple of weeks ago we blogged about how the Costa Mesa High School Cheer Squad was chosen as the 2009 American School Spirit Award winner. It’s a prestigious award given by the Universal Cheerleaders Assocation that goes to the top cheer program in the USA and is based on the cheer program, community involvement and academics. There’s a big ceremony at the 2010 High School Cheerleading Nationals in Orlando, FL the weekend of February 13. UCA will fly out the coaches and four squad members to accept the award but the team is hoping to raise enough money for the entire squad to go through the community and corporate sponsors. Will Costa Mesa show support for this spirit-raising group? If any community or corporate sponsors are able to provide a donation they will have their name printed on the nationals shirt they wear as they travel and will be acknowledged in the year-end program. All contributions will be tax-deductible since they are a non-profit group. Please contact CMHS Cheer Coach and Advisor Kori Johnson at 714-299-1967 to donate or get more information.